Petrus J. 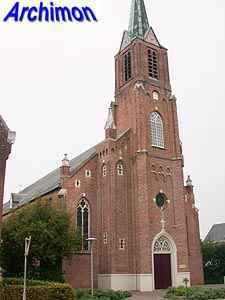 (the J. is probably for Joannes) Soffers is one of the most important and productive architects of Roman Catholic churches in early neo-Gothic style. Despite his importance, very little is known about his person. 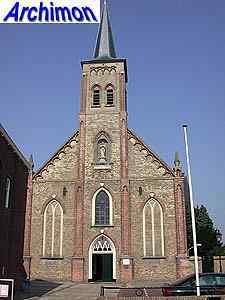 His father P. Soffers was a builder in Ginneken, now part of Breda, and the son had his architect's office in that same village. He probably was trained by his father and must have started working as an architect before or in 1850. 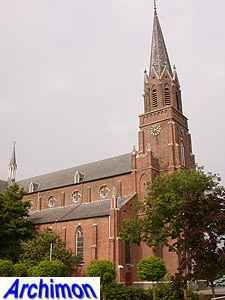 As an architect of churches he worked in the Breda diocese, which covered the western part of Noord-Brabant as well as the province of Zeeland. In this diocese he had a dominant position until he was succeeded by P.J. van Genk in the 1870's. 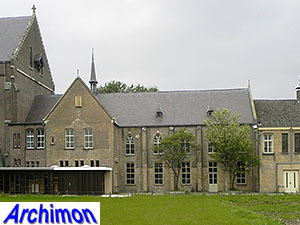 Soffers' career also includes a minor seminary near Breda and several profane buildings, mainly houses. 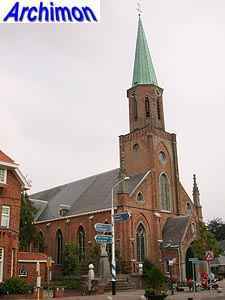 Soffers' churches are mostly in a neo-Gothic style, with a few in neo-Classical or neo-Romanesque style. His work lacks a true understanding of Gothic construction. His vaults are constructions out of wood and plaster, and his towers are mostly integrated in the facade, an element inherited from neo-Classicism. Yet, Soffers sometimes managed to successfully mimic medieval Gothic beyond the level of mere decoration. Many of his churches have been demolished or have been altered while several others are (destined to be) closed. The following is a list of Soffers' religious buildings. It is possibly incomplete. Three-aisled hall-church (type Stuffenhalle) in neo-Gothic style. Original choir replaced by a new transept and choir in 1924-1925 by N.J.H. van Groenendael. Chapel in neo-Gothic style. Transept added in 1882, choir demolished in 1908 to make space for the big new chapel by P.J. van Genk. In that period the chapel was internally divided into two stories. Three-aisled pseudo-basilica in neo-Classical style. Enlarged with external spaces in ca. 1925. Three-aisled cruciform pseudo-basilica in neo-Gothic style, incorporating an older tower. Three-aisled pseudo-basilica in neo-Gothic style. Transept added by J. Goethals in 1898. Originally an aisleless church in neo-Gothic style. Wide side-aisles added in 1920. Big three-aisled cruciform basilica in neo-Gothic style. Demolished in 1964. Temporary church, destroyed by a storm in 1877. Details unknown. Destroyed by fire in 1869. 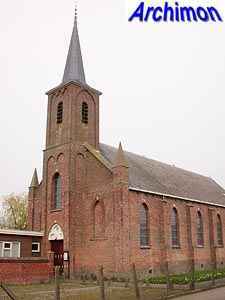 Soffers built a new church in 1870. Church in neo-Gothic style. Drastic changes in 1898 (side-aisles) and 1923 (tower). Three-aisled church in neo-Gothic stye. Neo-Gothic tower for an older neo-Classical church. Demolished in 1902. Aisleless church in neo-Gothic style. 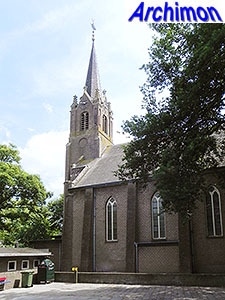 Extended in 1926-1928 with side-aisles and a new choir, the latter by W. te Riele. Three-aisled pseudo-basilica in neo-Classical style. Enlarged with transept by P. Bilsen in 1923-1924. 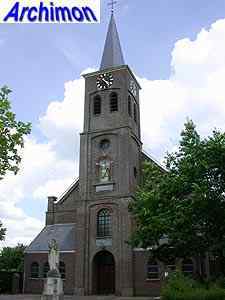 Church in neo-Gothic style, with tower featuring neo-Classical elements. Replaced in 1927. Aisleless church in neo-Gothic style. Demolished in ca. 1920. Aisleless church in neo-Gothic style. Church in neo-Gothic style. Demolished in 1929 or 1930. Three aisled church in neo-Gothic style. 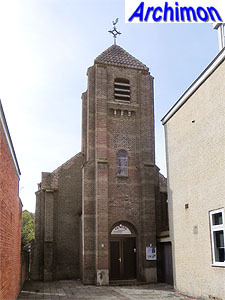 Rebuilt in 1929 into an aisleless church by architects Oomen. Church in neo-Gothic style, destroyed by retreating French soldiers in 1940. Tower remains. Cruciform church in neo-Gothic style, with two frontal towers. Destroyed in 1944. Three-aisled pseudo-basilica in neo-Gothic style, rebuilding of a church destroyed by fire in 1869. Possibly reconstructed using the original design from 1860. Chapel in neo-Gothic style, built with bricks of a demolished late-Gothic predecessor. 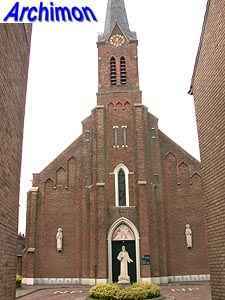 Aisleless church in neo-Classical style, but with neo-Gothic interior. Tower in unspecific style. Three-aisled basilica in neo-Romanesque style. 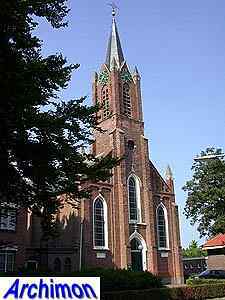 Church in neo-Gothic style, replacing Soffers' temporary church from 1860. Gradually replaced since 1932. Church in neo-Gothic style. Demolished in 1939. New church in an eclectic neo-Classical style, featuring Romanesque influences at the tower. Destroyed in 1944. Chapel for Franciscan convent. Demolished in 1962.